In recognition of Randy Revelle, King County’s third county executive, who passed away last week. King County Executive Randy Revelle, 1983. Series 415, Department of Transportation photograph files, item 415-1-20-5. King County Archives. 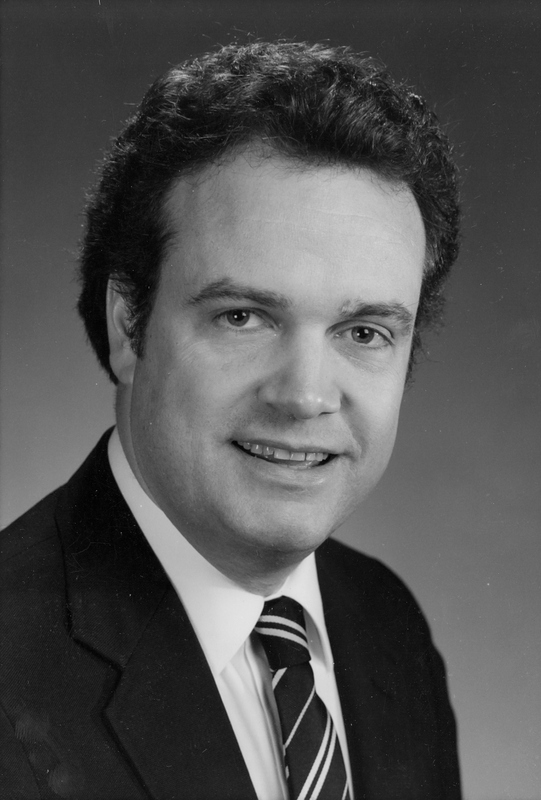 Randy Revelle led King County’s executive branch from 1981 through 1985. 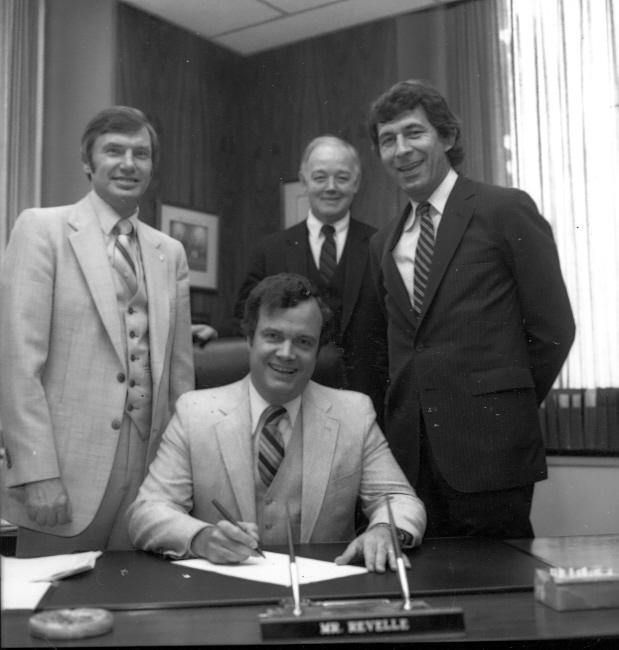 Significant accomplishments of Revelle’s administration included completion of the county’s 1985 Comprehensive Plan, which guided development to balance growth with protection of the environment, rural areas, and quality of life; implementation of the first phases of King County’s farmland preservation program; creation of the Cougar Mountain Wilderness Park; and improved programs for women- and minority-owned businesses. Revelle is also credited for leadership in improvements to mental health care at Harborview Hospital. Having himself been treated for bipolar disorder, Revelle would move on from local government leadership to become a leader in health care policy and advocacy, emphasizing mental health services. Seattle Mayor Charles Royer and King County Executive Randy Revelle declaring Public Works Week [1982 or 1983]. Also pictured: Public Works director Donald LaBelle. Series 489, Public Works Department Office of the Director – subject and complaint files, item 489.1.5.1. King County Archives. The records of Revelle’s administration are available for public viewing by appointment at the King County Archives. Archival processing of these records was completed in 2016 by Assistant Archivist Rebecca Pixler (now retired) with support from Archives volunteers and interns. The collection came to the Archives in 1998 as part of a transfer of 297 cubic feet of County Executive records representing the administrations of Randy Revelle, Tim Hill, and Gary Locke.